The Last Leaf is a Story on the theme of Friendship and Self Sacrifice. Discuss on it with reference to the Story. Question:The Last Leaf is a Story on the theme of friendship and self sacrifice. Discuss on it with reference to the story. Friendship is very precious relationship; which has been very nicely demonstrated by O. Henry in the story "The last leaf". Sue and Johnsy are the main characters; who met each other only 6 months before at table D'hote of an Eight Street, Delmonicos. Sue was from Maine and Johnsy was from California. They shared common test in art, food and fashion; which resulted in a joint studio. Both of them were striving artist. On a day Johnsy fell sick. She was suffering from pneumonia and Sue was performing the duty of Johnny's caretaker. The doctor told Sue that her dear friend had made up her mind for not going to live anymore. Sue got trouble with the statement of doctor; still she had hope in her heart for her friend . After dealing with the doctor., Sue went immediately to Mr Behrman; who used to live down floor of that apartment. Mr Behrman was a man of 60 with body of an imp and beard like Michael Angelo. He was painter by profession but didn't draw a single line for forty years. He always used to boast about his upcoming master piece. Sue begged for help from him and told him about Johnny's fancy. 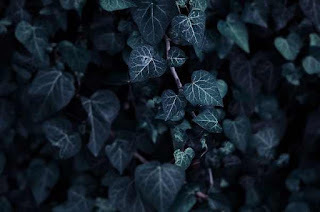 Actually, Johnsy made up her mind that when the last ivy vine leaf will fall from the tree then she will also leave the world sailing like the leaf. At first Mr. Behrman condemned the silly fancy of Johnsy but later he accepted to help Sue. For several days thunderstorm accompanied with sleet was going on. The weather condition was not good. And now there was only one leaf present on that tree. Sue was ordered to remove the window shade by Johnsy. She was surprised to find the leaf still on the tree which was green in color and fresh. Johnsy soon realizes her mistake and regrets herself as a bad girl. Doctor told Sue that better nourishment will improve Johnsy health. He also informed her about Mr. Behrman who died of cold and pneumonia last night in the heavy rain. Sue immediately figures out the total situation and tells Johnsy about Behrman. The last ivy vine leaf on the tree was Mr Behrman's masterpiece. He sacrificed his life for Johnsy.